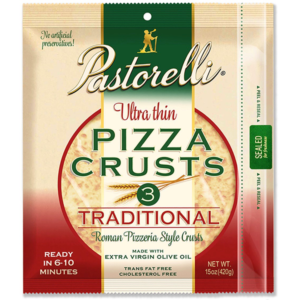 Pastorelli's pizza crusts are ultra-thin and crispy yet hold up well to lots of toppings. Free of cholesterol and preservatives, they're an ideal base for a healthy pizza. 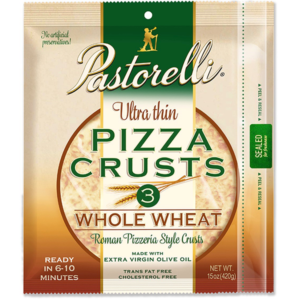 With 5 crusts to a pack, these crusts offer great value, and can be frozen if not used all at once. 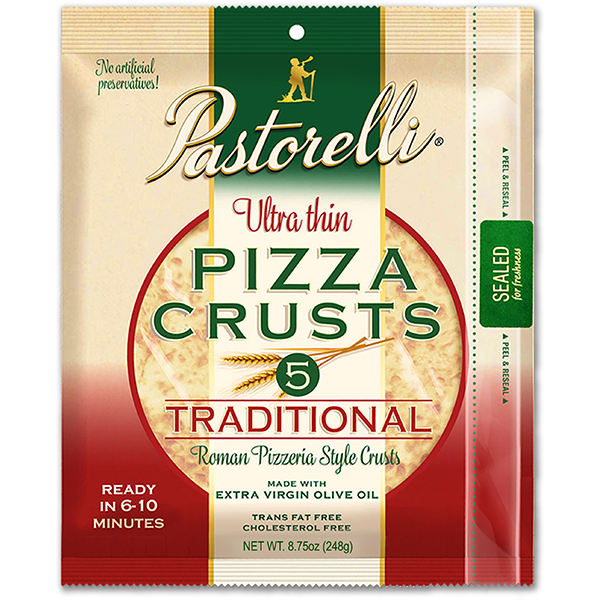 The seven-inch size is perfect for kids or personal pizzas.